Here you will find details of our Brexit-focussed work. On 31st July 2015, we held a workshop for members and non-members with relevant experience to decide what evidence is needed to determine the impacts of Brexit on the sector and how to collect it. A brief report of the workshop was produced. We have produced a table of all the environmental directives, which indicates how they are implemented in each UK country. We took a survey of our members to ask their views on the impacts of a possible Brexit in relation to the natural environment and the sector. The results show overwhelming support for remaining a member of the EU. 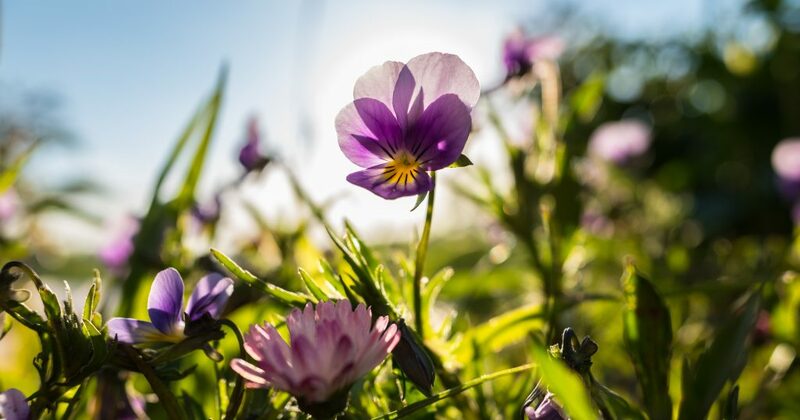 In Summer 2018, we conducted a survey of both members and the wider environmental community, to determine how the Brexit vote has affected ecologists and environmental managers commercially. The survey also looked at the measures that are being considered, or have been put in place, to mitigate any negative commercial impacts. We hope to use the results of this survey in our discussions with policymakers to highlight the important challenges and changes the sector will face post-Brexit. We have produced two Brexit-related Position Statements. On 9th June we published our position on the UK’s EU Referendum. In our statement, we highlighted benefits of EU membership, such as: protection of wildlife habitats and species, rigorous standards for pollution control and the cleanliness of bathing beaches, all of which have been delivered because of EU legislation. We encouraged all those who were concerned with the natural environment to vote to remain a member of the EU. In August 2016, we published our views on Brexit and what should happen next regarding the natural environment. We offered our independent expertise and advice to governments and ministers and promised to work with all stakeholders to get the best possible result for the natural environment. Following the referendum, we set up five Working Groups to look at specific environmental areas that may be affected by Brexit. Following the work of the Brexit Task Groups, we distilled our three key messages, which you can view below. Since producing our Key Messages, the UK Government has announced it will produce the first Environment Bill in over 20 years. The Bill will set out a legal framework for the government’s promise to leave the environment in a better state over the next 25 years. Defra have also consulted on the formation of a new independent environmental scrutiny body to hold government to account following the UK’s exit from the EU. We responded to the consultation with a number of concerns, most notably, the lack of enforcement powers given to the body in the consultation document. The Draft Environment (Principles and Governance) Bill has now been published and will begin its journey through Parliament. The draft Bill sets up the Office for Environmental Protection and obliges the government to public a long-term plan for the environment, with the current 25-Year Environment Plan being the first. We have ongoing relationships with governments, relevant departments and statutory agencies in the UK, devolved nations and Ireland, and with relevant Select Committees. In November 2017, we started a programme of meetings with Westminster parliamentarians to discuss our key messages, find out their concerns, and discuss how we could help each other. We have since held multiple Parliamentary events on specific environmental issues and are now looking to replicate these activities in the devolved nations. We have also been engaging with Defra, having met in December 2017 to discuss issues relating to EU exit, the marine environment, reform of agricultural subsidies, biodiversity, and international leadership. We continued these detail-orientated meetings in 2018 on topics such as the Red Tape Initiative and biodiversity net gain. In Practice editions over two years old are now open access at our Resource Hub. Non-members who wish to access newer articles are able to subscribe to, or buy single editions of, In Practice. Since late-2016, we have been working closely with the Environmental Policy Forum (an umbrella group of environmental professional bodies and learned societies) on sharing information and collaborating on our respective Brexit policy work where appropriate. In March 2017 we, jointly – through Greener UK and along with 46 other environmental organisations – wrote to Prime Minister Theresa May regarding the triggering of Article 50 and the Great Repeal Bill. In March 2017, our Governing Board approved the Institute joining Greener UK as a ‘supporter’ member. Greener UK’s Pledge for the Environment has been signed by over 180 MPs and they have created a Brexit Risk Tracker. The tracker uses a traffic light rating to indicate how the government is managing key environmental issues around Brexit and whether it is really delivering on its promise to leave the environment in a better state than it found it. We also work closely with Wildlife and Countryside Link, the UK Environmental Law Association (UKELA), the Law Society, and the Association of Local Government Ecologists (ALGE). Jason Reeves (CIEEM Policy and Communications Manager), gave a talk on ‘Brexit and Ecology Professionals’ at the Linnean Society of London in September 2016. In April 2017, Former CIEEM President, Dr Stephanie Wray CEcol CEnv FCIEEM, spoke at the Westminster Energy, Environment and Transport Forum event on ‘the way forward for natural environment policy post-Brexit‘. In June 2017, our CEO, Sally Hayns CEcol MCIEEM, spoke at the Westminster Energy, Environment and Transport Forum event on ‘Wildlife Law: Understanding Current Policy & Next Steps for Reform’. We have contributed to the Harvard Kennedy School report entitled Making Brexit work for British Business: Key Execution Priorities.